Phase 4 Films has announced that AFTER The DARK, formerly known as The PHILOSOPHERS, will receive a national theatrical day-and-date release February 7, 2014. The film was penned and directed by John Huddles, and stars James D’Arcy, Bonnie Wright, Daryl Sabara, Sophie Lowe, Rhys Wakefield, Freddie Stroma, Maia Mitchell, Katie Findlay, Jacob Artist, and Erin Moriarty. George Zakk, Cybill Lui, and Huddles produced, with Eddy Sariaatmadja and Balaji Rao serving as executive producers. 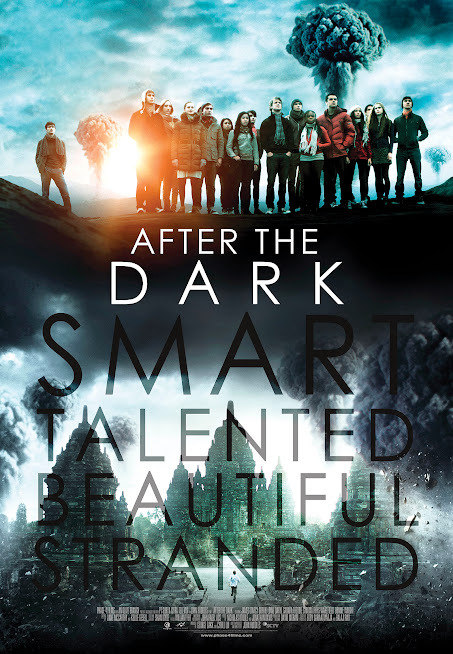 AFTER THE DARK is set at an international school in Jakarta, where a philosophy teacher (D’Arcy) challenges his class of twenty students to a final thought experiment. Faced with an impending nuclear apocalypse, they must determine which ten of them would take shelter underground and reboot the human race. The decision quickly becomes deadly as each in the group turns against each other in a desperate fight for survival that blurs the lines between theory and reality. We’re really proud to have made such a unique film and assemble this all-star young cast, notes Zakk. His fellow producer Lui added, We hope audiences are going to appreciate the big ideas that AFTER THE DARK brings to life on screen. The film opened theatrically in Russia and Ukraine on October 10th, and was victorious at the box-office over studio-backed films like Ron Howard’s RUSH starring Chris Hemsworth, and the Hugh Jackman/Jake Gyllenhaal starrer PRISONERS, in the first week of release for all three films in Russia/C.I.S. Total box-office receipts in Russia/C.I.S. topped $1.6 million. James D’Arcy was recently seen alongside Anthony Hopkins, Helen Mirren, Scarlett Johansson and Jessica Biel as Anthony Perkins in HITCHCOCK, as well as the Wachowskis’ Warner Bros. feature CLOUD ATLAS, opposite Tom Hanks and Halle Berry. He will soon be seen with Andy Garcia, Jake Johnson, Rob Riggle, Keegan-Michael Key and Damon Wayans Jr. in Luke Greenfields’s comedy LET’S BE COPS, and he’s teaming up with the Wachowskis again in their upcoming sci-fi adventure feature JUPITER ASCENDING with Channing Tatum, Mila Kunis, and Sean Bean. Bonnie Wright is best known for her role as Ginny Weasley in JK Rowling’s HARRY POTTER franchise, where she starred alongside Daniel Radcliffe, Emma Watson and Rupert Grint from the age of 9. Wright has been recently seen alongside Chevy Chase, Tom Sizemore and Eric Roberts in the Sharff brothers’ BEFORE I SLEEP, and was recently announced to star opposite Cameron Monaghan and Eiza Gonzalez in Adrian Cervantes’ ALL HAIL The SQUASH BLOSSOM QUEEN. Daryl Sabara shot to fame as Juni Cortez in the Robert Rodriguez SPY KIDS franchise. He worked with Rodriguez again in MACHETE, and costarred in JOHN CARTER. He was recently seen in Eli Roth’s The GREEN INFERNO, and just finished starring alongside Cary Elwes and Kristin Bauer van Straten in Blaine Thurier’s comedy TEEN LUST. Sophie Lowe made her feature film debut as the title character in Rachel Ward’s BEAUTIFUL KATE, for which she received a Best Lead Actress nomination in the 2009 Australian Film Institute Awards. She currently stars as Alice in ABC’s "Once Upon a Time in Wonderland." Rhys Wakefield appeared opposite Ethan Hawke and Lena Heady on James DeMonaco’s thriller The PURGE, and alongside John Krasinski and Olivia Thirlby in Ry Russo-Young’s feature film NOBODY WALKS. Freddie Stroma played the role of Cormac McLaggen in HARRY POTTER and the HALF BLOOD PRINCE, and HARRY POTTER and the DEATHLY HALLOWS, PART 1 & 2. He was recently seen opposite Anna Kendrick and Rebel Wilson in Jason Moore’s hugely successful Universal feature PITCH PERFECT, and will soon be seen in Colin Minihan’s sci-fi thriller The VISITORS. Maia Mitchell is best known for Disney’s TEEN BEACH MOVIE, and ABC Family’s "The Fosters." Katie Findlay can currently be seen in the CW’s "The Carrie Diaries," and previously starred in AMC’s "The Killing." Jacob Artist can currently be seen starring as Jake Puckerman in FOX’s hit series "Glee." Erin Moriarty was recently seen in Jordan Vogt-Roberts’ The KINGS of SUMMER, and with Ben Stiller, Vince Vaughn, and Jonah Hill in Avika Schaffer’s The WATCH. Formerly Titled The PHILOSOPHERS, John Huddles’ Jakarta-Set Fantasy Slated for a National Day-and-Date Release February 7, 2014. Last edited by mike727360; 12-16-2013 at 02:26 PM.